Tschermigite: Mineral information, data and localities. Named after its discovery locality, Tschermig (now Cermniky), near Kadan, Czech Republic. Note: Specimens frequently offered for sale of 'tschermigite' as large, good quality purple crystals on matrix are artificially created specimens made by growing crystals of this ammonium alum in a laboratory. Godovikovite is a dehydration product of tschermigite sometimes occuring on burning coal dumps. Octahedral (artificial crystals from pure water solutions); fibrous, columnar massive; as efflorescences. Ammoniomagnesiovoltaite 3 photos of Tschermigite associated with Ammoniomagnesiovoltaite on mindat.org. Alunogen 2 photos of Tschermigite associated with Alunogen on mindat.org. Hexahydrite 2 photos of Tschermigite associated with Hexahydrite on mindat.org. Metavoltine 2 photos of Tschermigite associated with Metavoltine on mindat.org. Mohrite 2 photos of Tschermigite associated with Mohrite on mindat.org. Hematite 1 photo of Tschermigite associated with Hematite on mindat.org. Berndtite 1 photo of Tschermigite associated with Berndtite on mindat.org. Sabieite 1 photo of Tschermigite associated with Sabieite on mindat.org. Voltaite 1 photo of Tschermigite associated with Voltaite on mindat.org. Clairite 1 photo of Tschermigite associated with Clairite on mindat.org. 29.5.5.4 Lonecreekite (NH4)Fe3+(SO4)2 · 12H2O Iso. Beudant, Trailé élémentaire de Minéralogie, second edition, (1832): Vol. 2: 497 (as Ammonalun). von Kobell (1853): 44 (as Tschermigit). Pfaff (1884) Sitzber. bayer. Ak. Wiss. : 255. Krickmeyer (1896) Zeitschrift für Physikalische Chemie, Leipzig, Berlin: 21: 79. Erickson (1922) Washington Academy of Science Journal: 12: 49. Liffa and Emszt (1923) Földtani Közlöny, Budapest (Magyarhone Földtani Torsulat): 51-52, 45, 105. Shannon (1929) Proceedings of the U.S. National Museum: 74: art. 13. Hintze, Carl (1930): 1[3B]: 4498. Wendekamm (1933) Zeitschrift für Kristallographie, Mineralogie und Petrographie, Leipzig: 85: 169. Lipson and Beevers (1935) Proceedings of the Royal Society of London: 148A: 664. Rost (1937) Ac. Sc. Bohême Bull. Klug and Alexander (1940) Journal of the American Chemical Society: 62: 1492. Palache, C., Berman, H., & Frondel, C. (1951), The System of Mineralogy of James Dwight Dana and Edward Salisbury Dana, Yale University 1837-1892, Volume II. John Wiley and Sons, Inc., New York, 7th edition, revised and enlarged, 1124 pp. : 475-476. Larson, A.C., Cromer, D.T. (1967) Refinement of the alum structures. III. X-ray study of the α alums, K, Rb and NH4Al(SO4)2.12H2O. 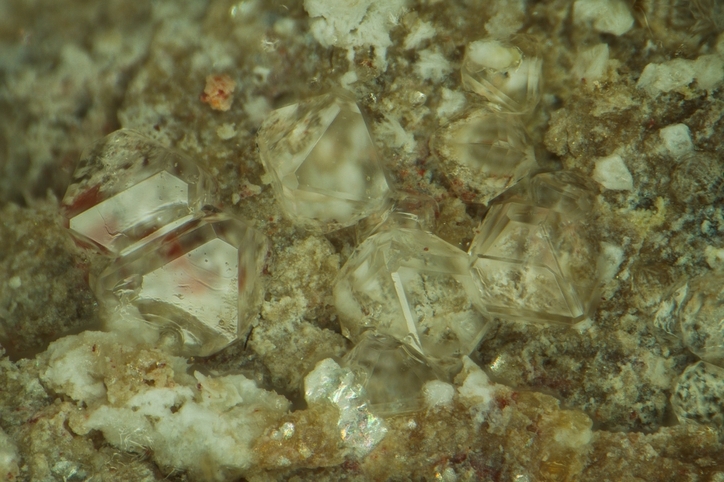 Acta Crystallographica 22, 793-800. Doklady Akademii Nauk SSSR (1977): 235: 930. Abdeen A M, Will G, Schafer W, Kirfel A, Bargouth M O, Recker K, Weiss A (1981) X-ray and neutron diffraction study of alums: II. The crystal structure of methylammonium aluminium alum III. 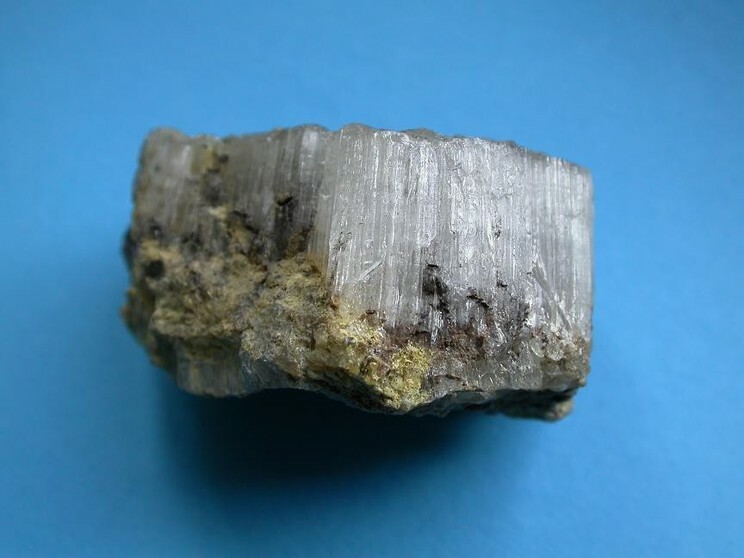 The crystal structure of ammonium aluminium alum. Zeitschrift für Kristallographie 157, 147-166. Harapát, L.: Minerály hořících hald dolu Jan Šverma u Žacléře. Časopis pro mineralogii a geologii, 1986, roč. 31, č. 1, s. 99-100. Hofmanovi P. a R.: Příspěvek k mineralogii lokality Hamr u Sušice. Minerál, 2009, 17, 1, 3-7. Palache, C., Berman, H., & Frondel, C. (1951), The System of Mineralogy of James Dwight Dana and Edward Salisbury Dana, Yale University 1837-1892, Volume II: 399, 476. Blaß, G. and Strehler, H. (1993): Mineralbildungen in einer durch Selbstentzündung brennenden Bergehalde des Aachener Steinkohlenreviers. Mineralien-Welt 4 (4), 35-42. (in German); Dr.Thomas Witzke on www.strahlen.org; Sindern, S., Warnsloh, J. M., Witzke, T., Havenith, V., Neef, R. & Etoundi, Y. (2005): Mineralogy and geochemistry of vents formed on the burning coal mining waste dump Anna I, Alsdorf, Germany. Eur. J. Mineral. 17, Beih. 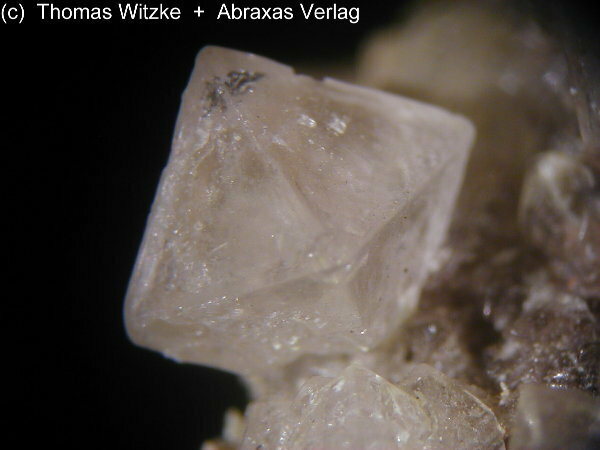 1, 130; Witzke, T., de Wit, F., Kolitsch, U. and Blaß, G. (2015): Mineralogy of the Burning Anna I Coal Mine Dump, Alsdorf, Germany. Chapter 7, pp. 203-240, in: Stracher, G. B., Prakash, A. and Sokol, E. V.: Coal and Peat Fires: A Global Perspective, Volume 3: Case Studies - Coal Fires, Elsevier, 786 pp. Palache, C., Berman, H., & Frondel, C. (1951), The System of Mineralogy of James Dwight Dana and Edward Salisbury Dana, Yale University 1837-1892, Volume II: 476. Rögner, P., Möckel, S., Ciriotti, M.E. (2007): Note di mineralogia elbana: tschermigite al cantiere Antenna, miniera di Rio Marina. Micro (notizie mineralogiche), 2/2007, 89-92. Coradossi, N. (1973). Nuovi ritrovamenti di composti di ammonio in zone geotermiche. Rendiconti della Società Italiana di Mineralogia e Petrologia, 29, 129. Zhitova, E. S., Siidra, O. I., Belakovsky, D. I., Shilovskikh, V. V., Nuzhdaev, A. A., & Ismagilova, R. M. (2018). Ammoniovoltaite,(NH 4) 2 Fe 2+ 5 Fe 3+ 3 Al (SO 4) 12 (H 2 O) 18, a new mineral from the Severo-Kambalny geothermal field, Kamchatka, Russia. Mineralogical Magazine, 1-40. Stalder, H. A., Wagner, A., Graeser, S. and Stuker, P. (1998): "Mineralienlexikon der Schweiz", Wepf (Basel), p. 413. Palache, C., Berman, H., & Frondel, C. (1951), The System of Mineralogy of James Dwight Dana and Edward Salisbury Dana, Yale University 1837-1892, Volume II: 476; Becker, George F. (1888b), Geology of the quicksilver deposits of the Pacific slope: USGS Monograph 13, atlas: 389; Murdoch, Joseph & Robert W. Webb (1966), Minerals of California, Centennial Volume (1866-1966): California Division Mines & Geology Bulletin 189: 374. Allen, Eugene T. & Arthur L. Day (1927), Steam wells and other thermal activity at “The Geysers,” California: Carnegie Institution Washington Publication 378: 45; Vonsen, Magnus (1941) Preliminary report on minerals of The Geysers of Sonoma County, California. Mineralogist: 9: 246; Vonsen, Magnus (1946), Minerals at “The Geysers,” Sonoma County, California: California Division Mines Report 42: 289; Pemberton, H. Earl (1983), Minerals of California; Van Nostrand Reinholt Press: 265. Palache, C., Berman, H., & Frondel, C. (1951), The System of Mineralogy of James Dwight Dana and Edward Salisbury Dana, Yale University 1837-1892, Volume II: 476; Minerals of New Mexico 3rd ed. Reed, Juliet C., Annotated Bibliography of Minerals New to the Pennsylvania List - 1965-1974, Min. Soc. of PA, Inc. (1976): 73; Montgomery, Arthur (1969), "Pickeringite," in Mineralogy of Pennsylvania, 1922-1965: 28; Lapham, Davis M. (Oct, 1972), Keystone Newsletter. Reed, Juliet C., Annotated Bibliography of Minerals New to the Pennsylvania List - 1965-1974, Min. Soc. of PA, Inc. (1976): 73; Montgomery, Arthur (Sep, 1972), "PA Minerals" (PM), PM(117), Keystone Newsletter. Reed, Juliet C. (1976), Annotated Biblio. of Mins. New to the Pa List 1965-1974, The Mineralogical Soc. of PA, Inc.: 73-74; Finkelman, Robert B., et al (1974), "Observations on Mins. from Burning Anthracite Seams & Culm in PA," Geol. Soc. Am. Abstracts w. Programs, Vol. 5(1): 27-28. Palache, C., Berman, H., & Frondel, C. (1951), The System of Mineralogy of James Dwight Dana and Edward Salisbury Dana, Yale University 1837-1892, Volume II: 563.